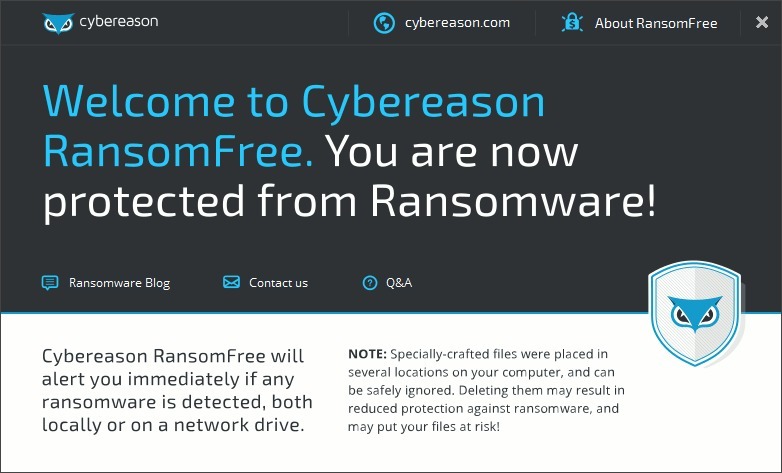 RansomFree is a new tool that promises to stop ransomware attacks before they can get busy encrypting all of your data. Instead of watching specific processes or trying to use signatures to identify ransomware, it observes the behavior of running processes instead, warning you when something’s up. Cybereason, the company behind Ransomfree, says that part of the beauty of keeping an eye on process behavior around your files is that this allows Ransomfree to protect against future strains and niche types of ransomware. In fact, the tool was designed explicitly to try and get ahead of the usual cat-and-mouse game between ransomware and decryption tools. Best of all, Ransomfree is, as the name implies, completely free. If it detects suspicious activity, it’ll prompt you before your files are encrypted, asking you to allow it to stop the offending process and clean the threat from your machine, or—if you’re confident in what you just opened—to let the process run. The service is new, to be sure, but a quick look around for some tests against common ransomware types reveals it seems to work well in the wild. Hit the link below to learn more, and to download and try it out. Oh—it’s worth noting that this is no replacement for traditional antivirus or antimalware utilities. Think of it as a complementary tool instead, one that’s pretty lightweight, to boot. You can read more about it and how it works in its FAQ here.